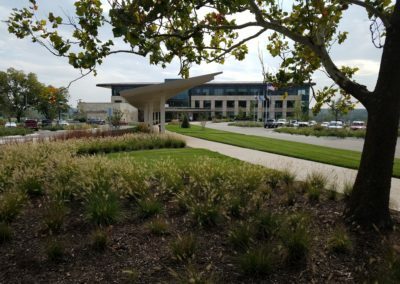 Federal Home Loan Bank - McClure Engineering Co. 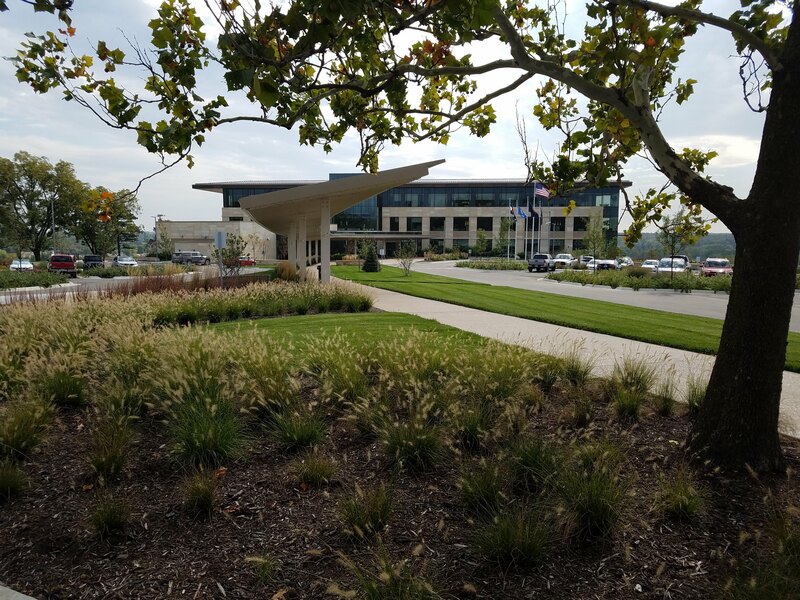 The Federal Home Loan Bank in Topeka, Kansas was situated to maximize site views with the building being situated on a high point of the Menninger Hill. 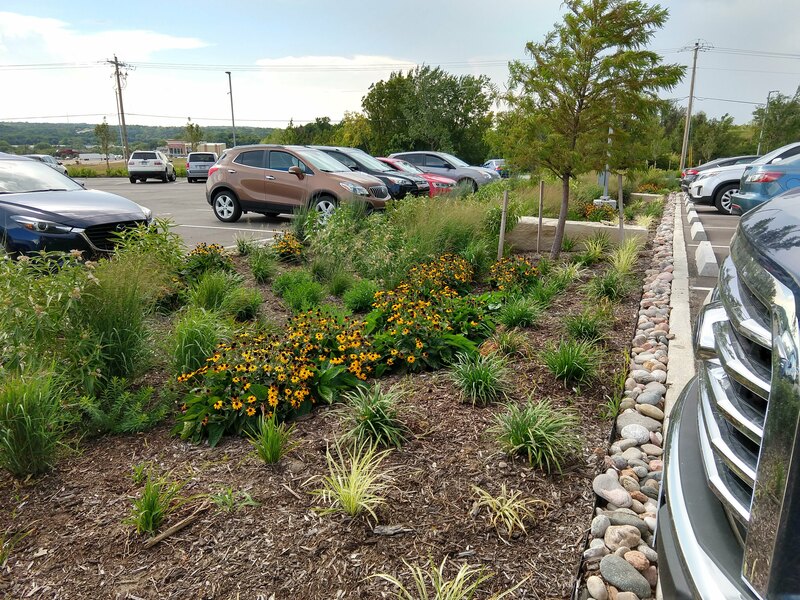 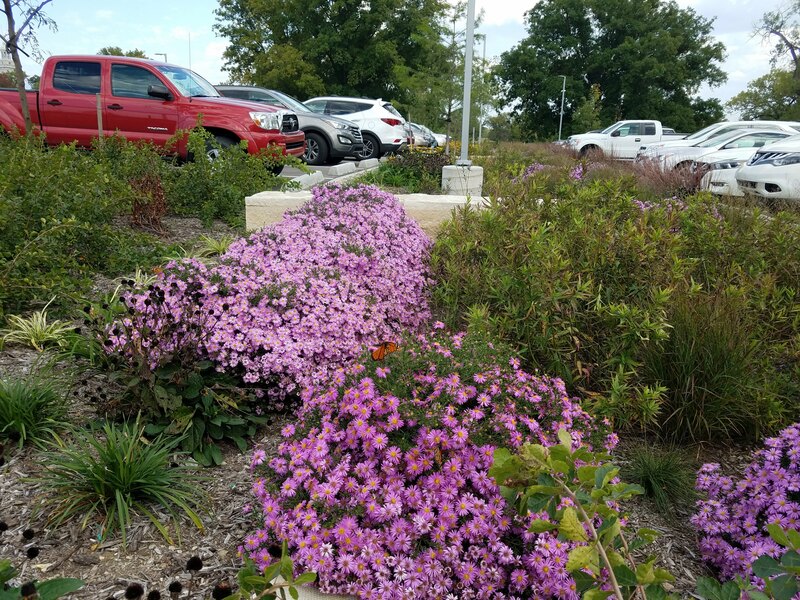 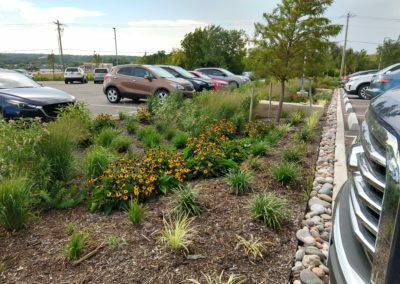 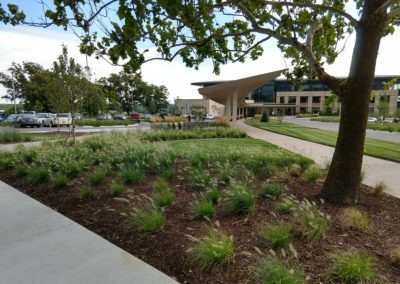 Prairie-Style landscape design was utilized to pay homage to the surrounding landscape, helping to nestle the building in its environment by incorporating over eight acres of native prairie restoration and preservation of existing trees within the site. 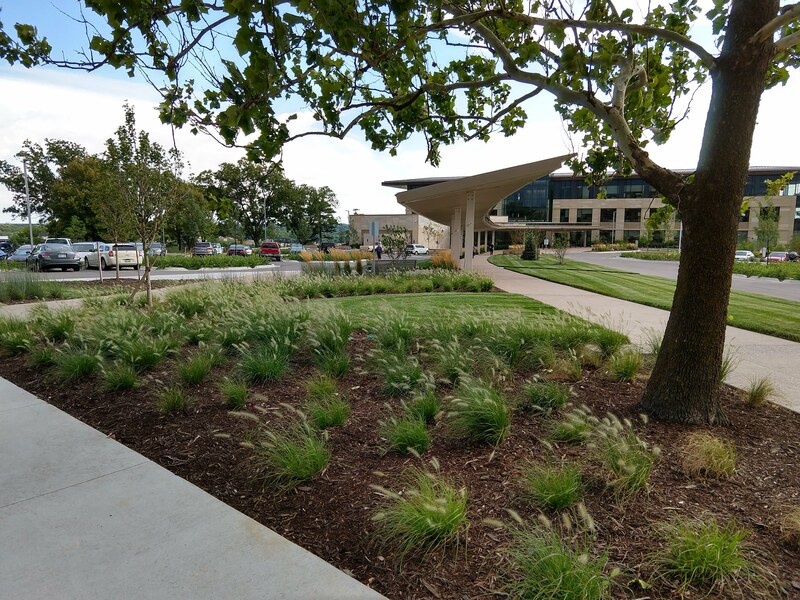 The key to the landscape concept of the site was the preservation of several mature trees, creating a setting in which the building appears to have been there for years. 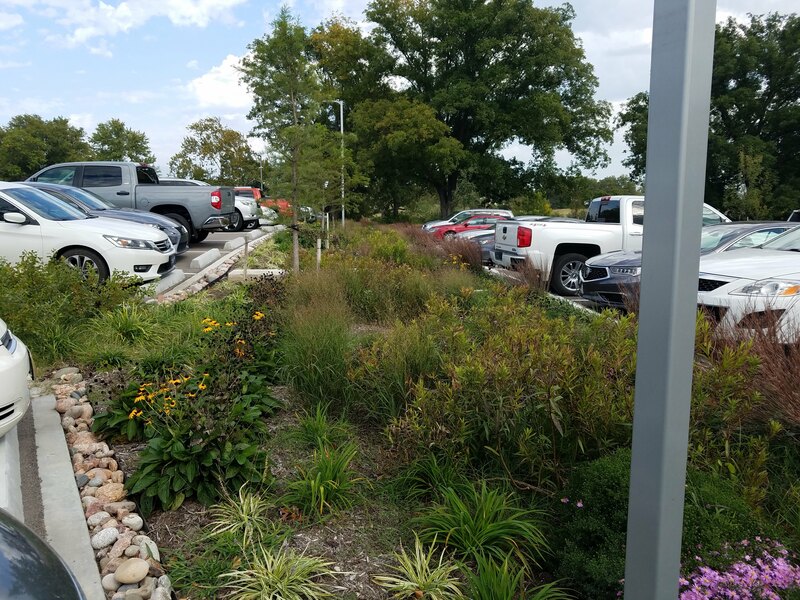 Multiple patio spaces were designed for the employees and are nestled into the tiered stone retaining walls that are an interpretation of the existing limestone outcroppings seen commonly throughout the Flint Hills region. These walls become a “base” for the building to rest on within the hillside. 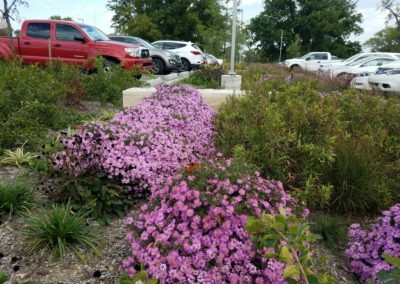 Each patio space and the entry drop off utilize decorative colored and exposed concrete pavement to help enhance these locations.